to help you become the artist you've always wanted to be. Learn to paint the quick, easy and fun way! Click the button to sign up now! Not improving as you'd like? We build confidence in aspiring artists through a sequence of easy to follow lessons that will help you create beautiful oil paintings to decorate your home, delight your friends and family and gain the respect of other artists. Everything for artists in one place. Total access to our vast library of resources help you learn to paint the right way from professionals. The fastest track to art mastery. Learn the secrets of Bill's method that he didn't have time to teach on his television show. The only art supplies specifically designed for Bill's method of oil painting. Forget harmful toxins and thinners - our paint is safe! To become a more confident artist, learn to paint the right way. 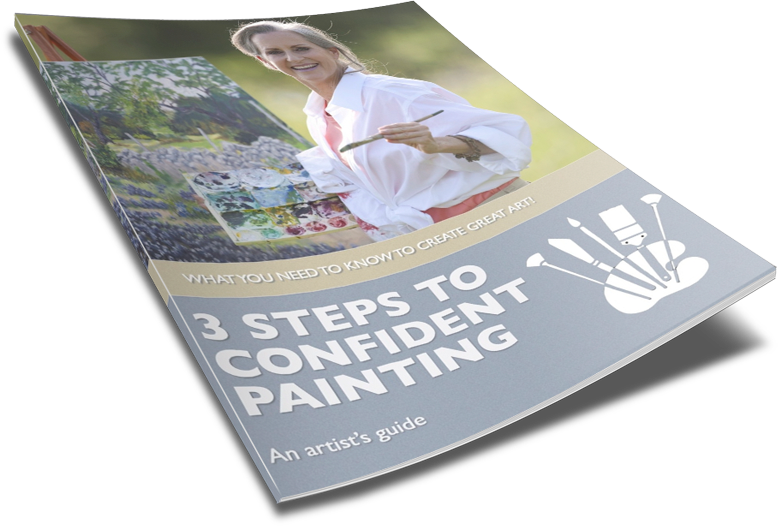 Download our "3 Steps to Confident Painting" Artists' Guide and start painting better today! "Awesome...you guys provide great information...!" -- Bob P.
"I watched the video you sent about not using solvents of any kind. I am so happy that I did. I made the solution on the video and it works great! You have saved me a lot of money and headaches cleaning my brushes. They come out so clean and hassle free. I just love it!!! I was about to give up oil painting because I can't use any solvents in my small apartment. A big Thank YOU!!!" -- Lana F.
"I just joined about 2 months ago and am learning the basics one step at a time. Today I'm using the practice board for the first time and in a week or so I look forward to starting the modules! Making notes now--looking at the world in a different and more beautiful way!" -- Karl B.